Is the ability to forgive a stumbling block or an anchor – a curse or a blessing? How you view and understand forgiveness will form your answer to this question. Forgiveness brings healing to the relationship. Forgiveness brings healing the one offering forgiveness. Forgiveness brings healing to the offender. Forgiveness brings peace of mind. Forgiveness brings one into closer union with God because the heart is open to receiving God’s love and offering it to another, especially to the offender. Is the ability to forgive a stumbling block and a curse? Why is forgiveness so difficult to do? Why is it a stumbling block? Why can’t I get past the hurt and the pain? If you suffer from un-forgiveness, you might want to examines some possible reasons. Misconceptions about what it means to forgive. Forgiveness does not mean that the right to restitution and justice are revoked in the act of forgiveness. Fear that the offender will repeat the offense if not punished in some way. Damaged relationship prior to the offense. Poor self-esteem. Not worthy of being loved or giving love. Loss of dignity of self. The offender commonly elicits this response in the offended. Lack of faith in God to bring mercy, love, justice, and healing to the situation. 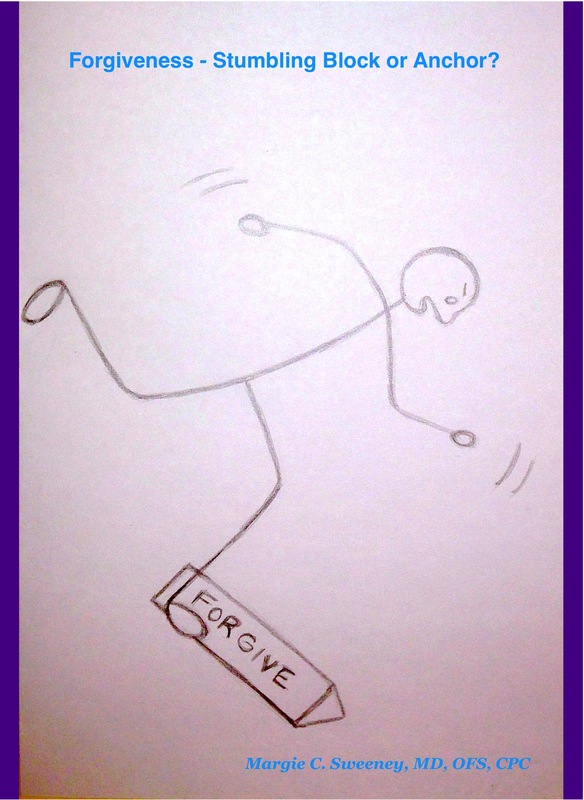 Certainly some offenses are beyond our human ability to forgive. That is when the Christian response of praying for one’s enemy is of great value. We are only human. To forgive is truly a divine response, rooted in our relationship of love with God. Only God can help us to forgive. Sometimes this takes a long time. Forgiveness is not always an immediate response and this is okay! Trust in the Divine to get you through the offense and your response to it. Get help from family, friends, pastor, counselor, coach, or an impartial person – whoever you feel that you have a trusting and loving relationship to open up and explore the pain. Putting a cap on it and trying to forget it will not bring the healing that only forgiveness can bring. I hope this has helped you to find forgiveness to be an anchor and blessing in your relationship with God and others! Feel free to share your comments on forgiveness below.